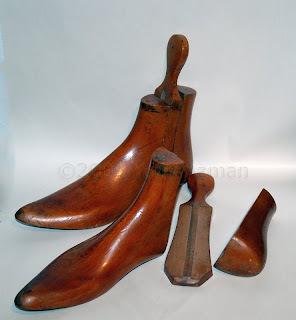 I'm just putting stuff together to bring to this week's Sunday Antique Market and one of the items (actually three pairs ) will be these antique boot trees. 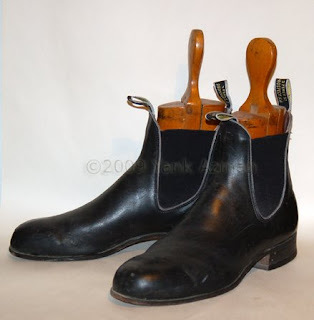 We often have shoe trees as well as tall boot trees but these shorter one are increasingly difficult to find. Meant for Wellingtons or paddock boots they often end up just being used as pieces of sculpture or retrofitted by interior decorators as book ends or lamp bases. If you own shoes and care about them, trees of some sort are a must: they absorb perspiration and help keep your boots in the best condition.